REMEMBER TO USE THE PROMO CODE “May14BP” TO CLAIM YOUR 500 “BOOM BUCKS” SIGN-UP BONUS! Boom Bingo is a not a Pay-To-Play website. It offers Bingo enthusiasts a chance to play their favourite Game when they aren’t at a local, Ontario Bingo Hall. Boom Bingo is also FREE TO PLAY! Players use “Boom Bucks” to play games. While there are special cash prizes to be won, regular game Winners receive “Boom Bucks”, to play even more. 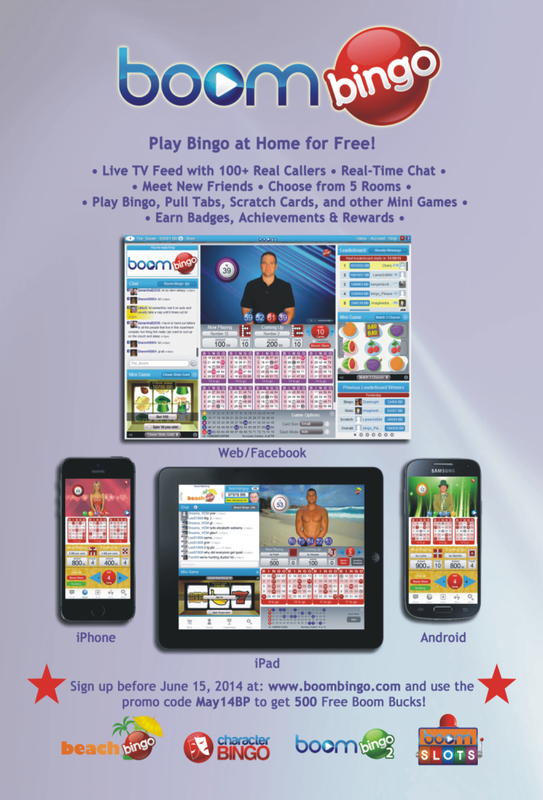 The site offers themed Bingo Rooms with human callers (not automated), social chat functionality and more. Bingo Player and Boom Bingo encourage you to visit a local Ontario Bingo Hall or E-Gaming Centre whenever you can.